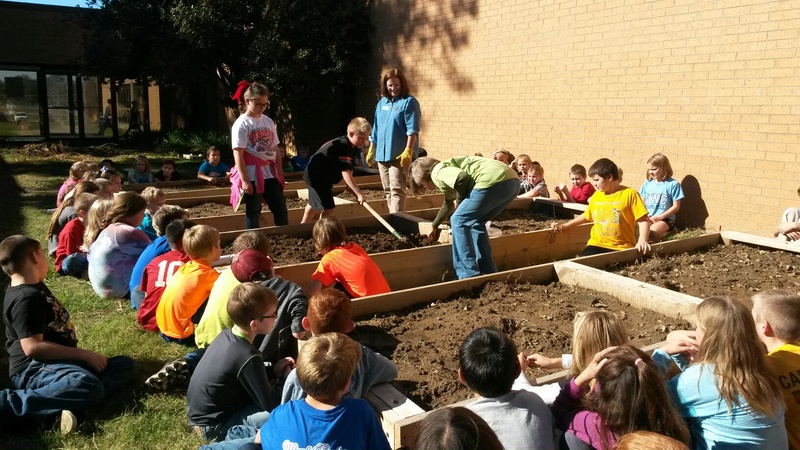 Master Gardener volunteers are former educators or received training in working with children. Our goal is to increase knowledge about plants by having children ask questions, build models to represent learning and develop experiments to test concepts. We supply all materials and 2 volunteers per classroom. If you would like a presentation for your Rogers County classroom, please scroll to the bottom and leave a reply. We will contact you! 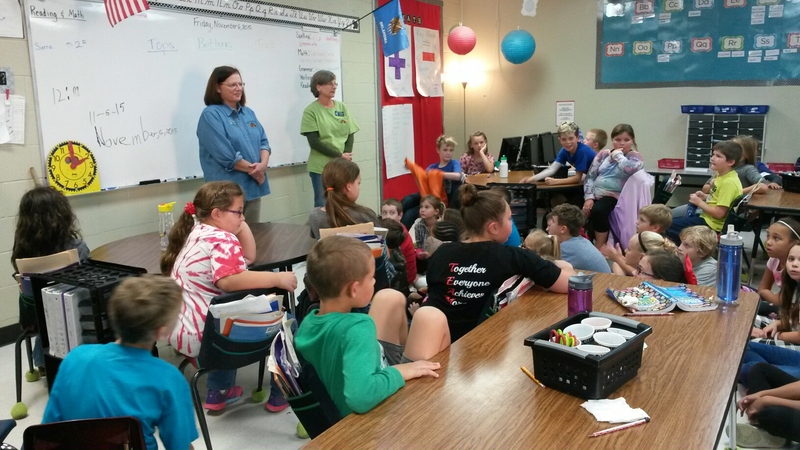 Trudy Hedgpath and Carol Chuck visited the third grade class at Verdigris Public Schools on Friday, November 6. The third graders are reading a children’s book titled Tops and Bottoms, by Janet Stevens. 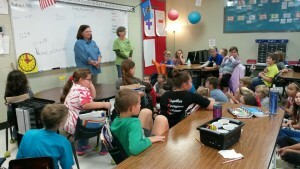 Hedgpath and Chuck introduced the students to the Rogers County Master Gardeners Association, discussed the book and brought top, middle and bottom vegetables for the students to identify! The two demonstrate planting garlic in one of the schools new raised beds. Would you travel to a Salina, OK school? I’m sorry, but we just serve schools in Rogers County.